After opening with prayer, The SCOAN Sunday Service kicked off with harmonious praise – “Hail Yahweh!” accompanied by dancing styles that stirred the atmosphere, drawing the attention of God’s Holy Spirit. “I see a gang that you joined – bad boys. God saved you; if not, you would have been in the prison yard. They would have implicated you.” Were the words of prophecy given to Juriaan from Swaziland. Juriaan stood before the congregation in The SCOAN to confirm the prophecy and he further testified of how he was delivered from a gang that nearly thwarted his ambitions and led him to years of imprisonment. While narrating his ordeal, he confessed of how involved he was. Juriaan was happy to live outside the law – taking hard drugs and indulging in ungodly activities. Drawn by the allure of gang life and the vanity of physical attraction, Juriaan never saw anything wrong in what he was doing; to him it had become the norm. He also took great delight in displaying his long hair to public admiration but his visit to The SCOAN changed everything. 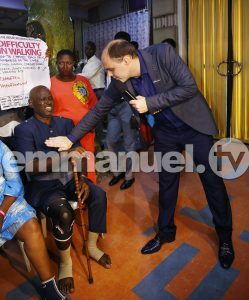 While he was seated in the midst of the congregation, the man of God spotted him, gave him a word of prophecy and he was prayed for. Today, he is delivered, in Jesus’ name. 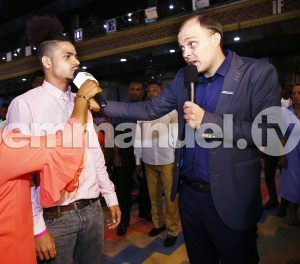 Sharing his testimony, he advised youths to desist from ungodly acts and look to Jesus. He also warned them to avoid fleshly desires because they ruin a person’s future. As a proof of his total deliverance, Juriaan had cut his hair to a low level and is proud to proclaim Jesus Christ as his Lord and personal Saviour. After Juriaan’s riveting testimony of God’s saving grace, Mr Morgan Vanman was up next to share his own miracle. Mr Vanman’s severe case of difficulty in walking due to chronic back pain and numbness of the limbs had led him to several hospitals in search of solution but all proved abortive. His career, marriage and social life were affected as he could no longer function as before, dependent on the support of a lumbar corset, knee brace and ankle supports that were attached to his body. 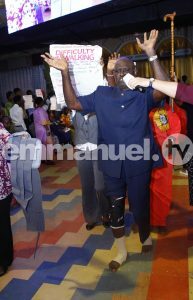 Mr Vanman’s episode with his infirmity came to an abrupt end as he received prayer during The SCOAN Sunday Service. 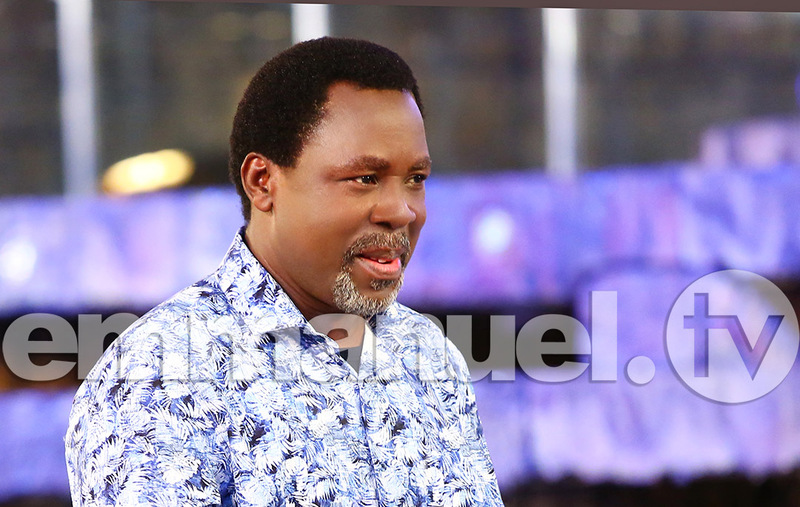 Instantly, his bones were strengthened and he began to walk freely without the use of his supports to the glory of God. 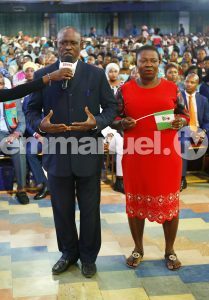 Sharing his testimony to the congregation and viewers all over the world, he advised them to go to a living church for their healing and God would meet them at their point of need. 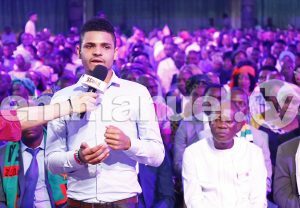 It was the congregant’s turn as the men of God took it in turns to cast out demons, heal the sick and deliver words of prophecy that went to the heart of issues that were pulling at people’s destinies giving them new leases of life. Prophet T.B. Joshua also graced the Service day, as ever, with a word encouraging us to have a free spirit. He also gave us the truth of the issues damaging our heart and reminded us that we need look no further than ourselves as the cause of our present faded glories. Prophet T.B. 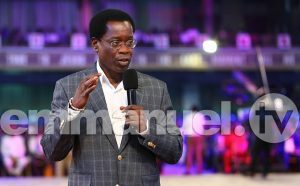 Joshua went on to pray for the viewers saying, “Our heart must be at its best for God” as it is the prayer room, the temple of God, “the landing point for the Holy Ghost”. He prayed that the root in our hearts that causes unforgiveness, bitterness and bad feelings towards others to be terminated, in Jesus’ name.